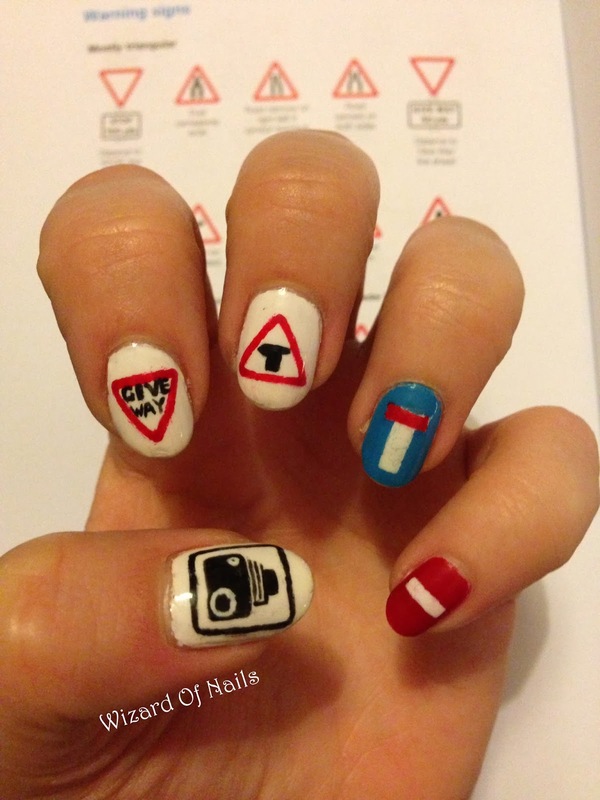 Painted these back in November when I took my driving theory test. As I was studying my signs for the test I decided it would be a good idea to paint them on my nails. Just so you know, I didn't cheat and paint them before my test, I painted them the following day. On my left hand I have a speed camera sign, a give way sign, a T junction sign, a no through road sign, and a no entry sign. 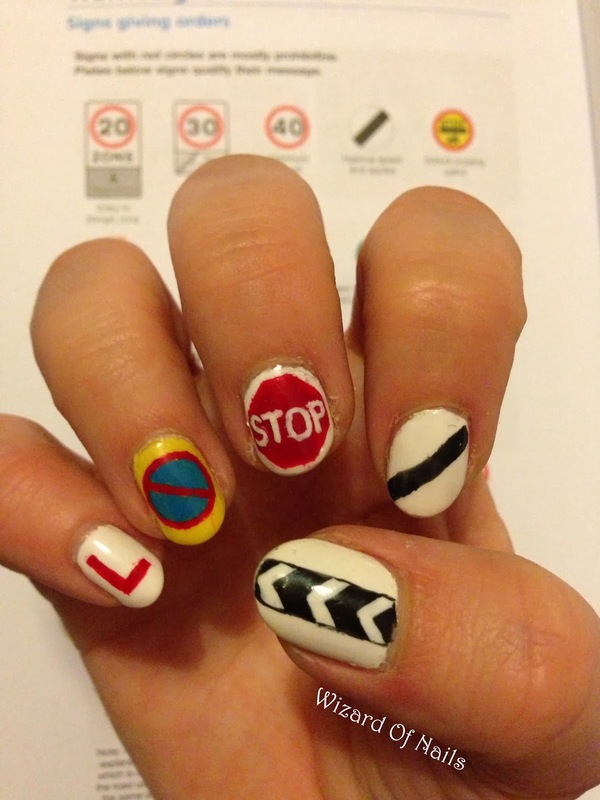 On my right hand I have an 'L' plate, a waiting restrictions apply sign, a stop sign, a national speed limit sign, and a sharp bend ahead sign. Good to know I still remember them all. I'm pleased to say I passed my theory test with full marks! Since then I have also taken and passed my practical test as well, so I can now be legally let loose on the roads of London. Look out everyone! I change my nail art designs on a weekly basis and I am here to share them with you. I also graduated with a BA Hons degree in Hair and Make-up for Film and TV at London College of Fashion last year and work part-time at HMV.